I m curious about the envelope. Is it rubber stamped ? It *looks* rubber stamped, but on a close inspection of the envelope I think it is just the cool design of the paper used to make the envelope. 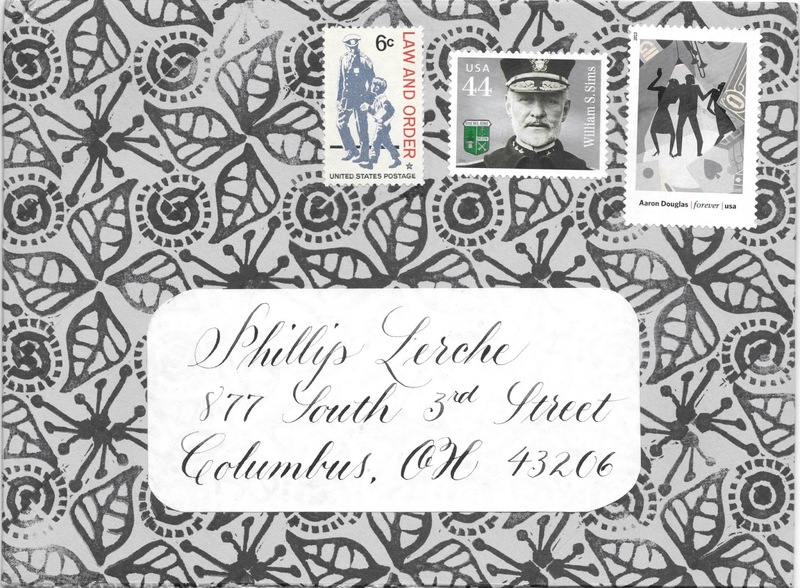 I love the (almost completely) black and white stamps. Yes, they match the envelope so nicely, I love the thought that went into this. Hello Phillip! I checked your blog today on my phone and for some reason it opened to this entry. 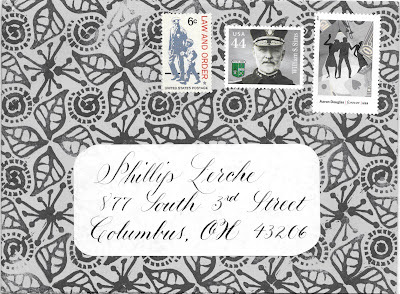 First, thanks for the compliments, and second, the envelope was indeed stamped. I cut a one inch square and rotated it a quarter turn at a time across the paper, then made my own envelope. One of my favorite techniques! Wow, that is an impressive amount of work - and so neatly done, I love it.